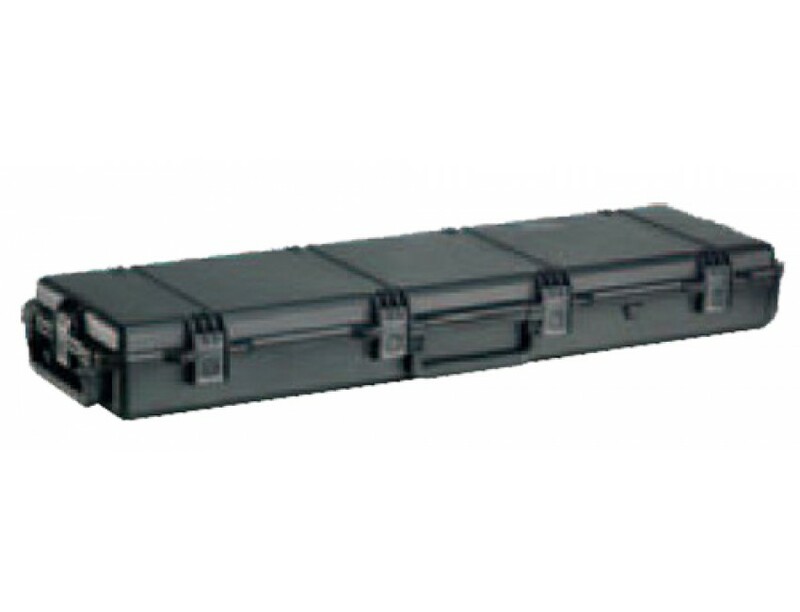 Pelican's Storm Long Case features six press and pull latches, and two double layered soft grip handles. It also features four padlockable hasps, in-line wheels, and a Vortex valve. IT has interior dimensions of: 50.50"L x 14"W x 6"D.